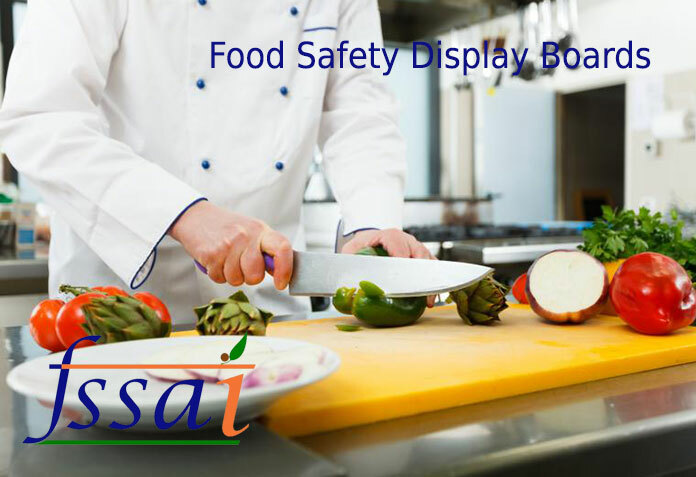 As you are aware that with operationalisation of the Food Safety and Standards (Licensing and Registration of Food Businesses) Amendment Regulation, 2018; installation of Food Safety Display Boards (FSDBs) at the catering establishment has been made mandatory. As the association, it is your responsibility to ensure that all the member hotels and restaurants should display FSDBs are per the guideline laid. 1. Size: All licensed food businesses should display FSDBs in A3 size and registered food businesses should display A4 size. Size specifications should be strictly followed. 2. Color Code: For catering sector, purple color FSDBs are available. Ensure the color of FSDBs in maintained during printing. 3. Placement of FSDBs: FSDBs should be placed in a way that it is readable at all times for consumers as well as food handlers. If your store is big ad or multi storey, then FSDBs should be placed at multiple location on each floor. Note: Placing FSDBs behind the counter or reception will not serve the purpose. FSDBs should be placed at multiple locations. 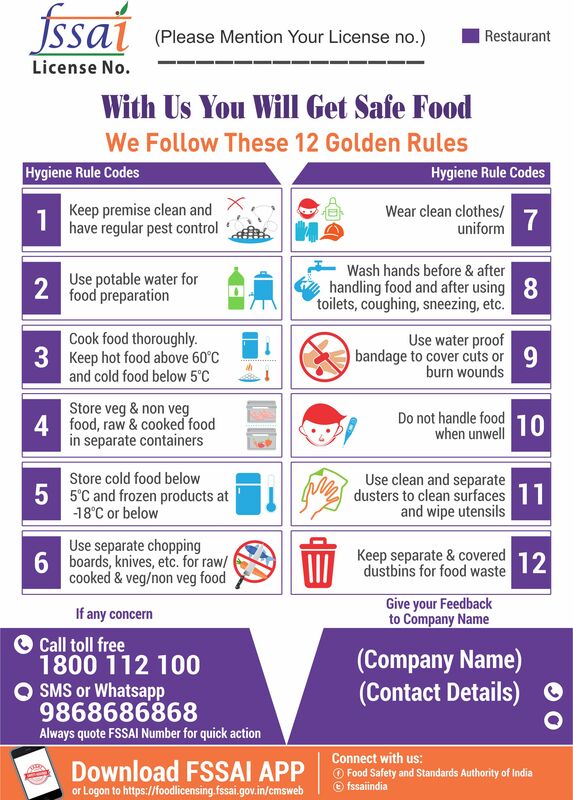 FBO can download the file and add their FSSAI License number on top and contact details for consumer feedback on bottom of the FSDBs and print the same in multiple copies to display at various location in front end and back end of the restaurant. FBOs should install FSDBs asap and share the details i.e. 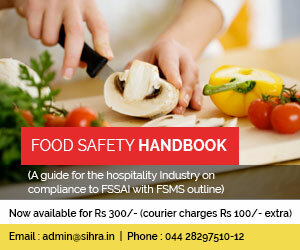 name and address of the restaurant(s) and few images at heena.fssai@gmail.com.